The Indian hotel industry is still in the nascent stages and is yet to make the transition from an occupancy-led cycle to one supported by rising average room realizations (ARRs). However, supply pressures in some cities are likely to undo the impact of the same and also prevent any steep increases in room tariffs. With the economic situation in dire state in the West, expectations in the domestic corporate sector fiscal 2011-12 (year to March 31, 2012) is not rosy due to rising interest rates, increase in food and fuel costs, making the prospects for the Indian hotels industry lacklustre. The longer-term prospects of the industry however remain robust, given that it can absorb significant capacity additions in a scenario of robust economic growth; besides, the industry’s room inventory remains low by global standards. Budget hotels have been traditionally been associated with unorganised, low-priced and non-standard services which primarily comprises of two-star hotels, one-star hotels, catering to the middle class and upper middle class. The objective is to provide a clean and affordable place for travelers, thereby meeting their needs. 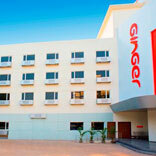 Expansion of business activity to tier II and tier III cities has created demand for budget hotels. The estimate for constructing a single budget hotel room stands in the range of US$ 0.03-0.05 million. Manu Mohindra, MD, Under One Roof Hotel Consultants Pvt. Ltd. says “Ginger, earlier known as Maple, has been doing wonders in this segment because they have tapped into the needs of the consumer adequately. The customers in this segment are the ones who do not want to pay much but expect to be offered all the services that one can think of”. Experts believe that with tourist inflows at 4.2 million and 400 million domestic trips made by Indians in the last year, and in stark contrast a total of just 120,000 rooms in all classified hotels, the demand-supply gap is huge, which in the years to come is set to rise and not decrease. The segment holds promises for many aspiring hoteliers when investment is not out-of-reach kind. A single 100-room hotel requires an investment of around Rs 25-30cr. Most players are refining their particular product mix to come up with a winning model. From carefully identifying their target segment, such as the executive, domestic traveller or tourist, and developing services around that, looking at a judicious land use mix, identifying viable location, managing property rather than building it, becoming a service entity offering their brand and hotel management expertise—all are critical considerations. “We can see many mid-segment companies coming into the industry; earlier international brands were skeptic about venturing into this segment” says Suharsh Bhardawaj, President, Lord’s Hotel & Resorts. Some are flirting with various models at different properties to pinpoint a successful one that can be replicated across locations. “We reach out to places with our hotels which are not even heard of on daily basis. We have primarily targeted the tier II & III cities, where our occupancy is 70-80%. We will definitely target the capital region in the near future. We are into 4-star, 3-star and budget segment hotels. Our price range starts from Rs.2000 to Rs.8000” Bhardawaj adds. If you look at the varied players in this segment, we have Red Fox, Sarovar Park, Ginger Group and Lord’s sharing the hospitality space with premium heavyweights such as Hilton, Starwood, ITC, etc. The current scenario of the hotel industry is that it is still in its early stages. With the FDI opening up, we can expect a plenty of international brands coming in with their budget chains. The room space is going to rise from a 40-room project to 300-room hotel. We haven’t even exploited 2% of the potential right now in India. “The concept behind budget hotels is to function at an economical price point catering to the particular segment and ensuring that their viability of operating on long-term basis remains possible,” says Romesh Kaul, Director, Naaz Hotel Consultants. “The opportunity to explore is huge, if you look at hotels across the globe; they are catering to customers from all nuances. In US room charges range from $200-300 and go as economical as $39 also” Manu added. Other than the general reasons that impact most sectors in the country, the one which stands out is the behavioural pattern of the customers targeted. “One must make sure that these hotels are neat and clean, food provided is not only hygienic but also quality approved” Kaul adds. “See if you look at the country, majority of the consumer base is from the mass market. The biggest skepticism about budget hotels has been their hygiene and quality. With an extra additive through the virtue of services the standard can be raised”, further highlights Manu. With rising disposable income in the hands of the young working class, the opportunities for budget hotels to flourish and come out of the shadows of major hotel brands are vast. One just needs to set their standards high and let their service do the talking for them.